Stock Samples Are Good, But We Want More! FL Studio comes with a decent selection of stock drum, percussion, and SFX samples, but as you get more and more serious as a producer, you’ll soon find that these just won’t cut it. This quick tutorial will show you how to import/add samples to FL Studio. 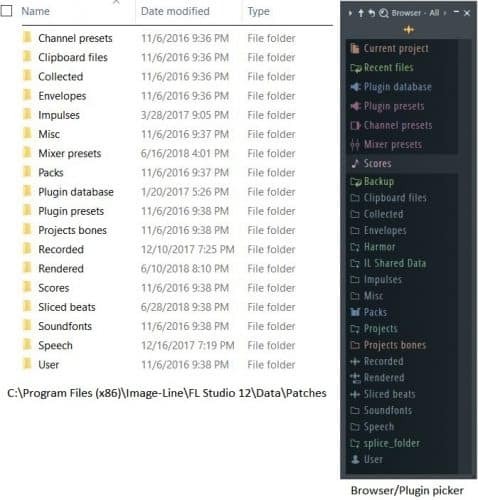 When you download and install FL Studio in Windows 10, the program will automatically create a set of folders on your hard drive where all of the stock plugins and samples will be stored. Samples are really nothing more than audio files stored in these folders. If you’re not super computer savvy or you’re just starting out, these may be a little difficult to find. 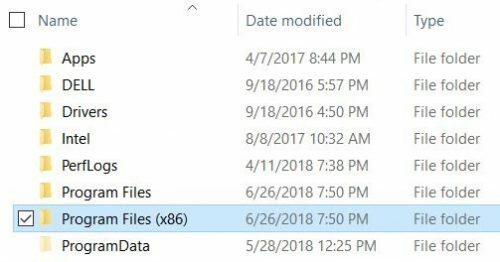 First, navigate to your C: drive, and find the Program Files folder. There may be two of these. The one with “x86” tacked on to the end should be the one you’re looking for. In this folder, navigate to the Image-Line folder, then the FL Studio 12 (or whatever version you’re using) folder. Next, navigate to the Data folder, and then Patches. In the Patches folder, you’ll see a list of more folders that should look a lot like the list in your Browser/Plugin picker in the FL Studio user interface. And that’s because this folder is exactly where the FL Studio user interface will import sample files from. Again, samples are simply audio files stored on your computer. There are TONS of free samples all over the web. There are also companies like Splice that sell downloadable samples for profit. A quick Google search should get you whatever you’re looking for. Now, once you have downloaded samples, it’s as simple as copying them from your Download folder (or wherever you have them stored initially) to either the User folder or somewhere in Packs. If you’ve used Splice like I have, it will automatically create a folder and import samples for you, which is pretty convenient. Your Browser in FL Studio should automatically update to show the newly added samples. If you find that the new samples are not appearing in your Browser, just click the “Reread structure” arrow button at the top of the Browser, or hit CTRL+R while the Browser is selected. FL Studio also gives you the option of adding extra folders to pull from instead of just the Data folder mentioned above. To set this up, you’ll need to open FL Studio, go to the top left of your screen and click Options, and then File Settings. Once there, you’ll see a sub window labeled Browser Extra Search Folders. Clicking one of the small folder icons to the left of a blank line will allow you to specify an extra folder for your browser to pull from. Your newly imported samples should then be ready to use at your whim straight from your Browser to blow minds and shatter the fabric of reality as we know it. Just kidding, don’t do that.